HOUGHTON — Richard J. Koubek will lead the University as its 10th president, the Michigan Technological University Board of Trustees announced. Koubek, currently executive vice president and provost of Louisiana State University, begins his tenure at Michigan Tech July 1. He succeeds Glenn D. Mroz, who has served as president since 2004 and is stepping down to rejoin the Michigan Tech faculty. The Board of Trustees selected Koubek from a pool of four semi-finalist candidates brought forward for consideration by a 14-member Presidential Search Committee that included student, faculty, staff, alumni and community representatives. Board members Bill Johnson, Brenda Ryan, Julie Fream and Bob Jacquart served on the PSC as well, with Johnson and Ryan as chair and vice chair, respectively. During his remarks at the board meeting, Koubek said he is honored to serve as Michigan Tech’s next president and is looking forward to working alongside students, faculty and staff in fulfilling Michigan Tech’s vision to lead as a global technological university. 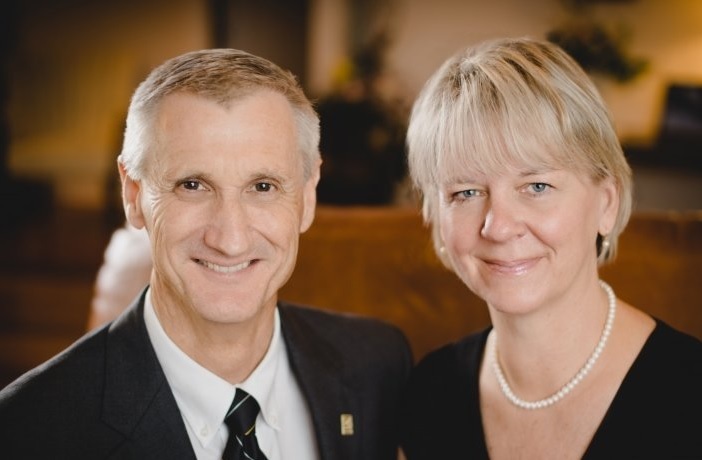 Koubek brings 30 years of experience in academia as a faculty member and administrator to the Michigan Tech presidency. Prior to joining Louisiana State University in 2009 as dean of its College of Engineering and the Bert S. Turner Chair in Engineering, he served as head of Pennsylvania State University’s Harold and Inge Marcus Department of Industrial and Manufacturing Engineering. Previously, he was chair for the Department of Biomedical, Industrial and Human Factors Engineering at Wright State University, as well as associate dean for research and graduate studies in Wright State’s College of Engineering and Computer Science. Koubek’s awards include the NASA Group Achievement Award; the 2013 Governor’s Technology Award for Outstanding Leadership in Technology for Louisiana; BASF’s 2014 Professor of Excellence Award; the 2016 Outstanding Industrial Engineer of the Year, School of Industrial Engineering at Purdue University; the “Click-It” Award for Innovative Use of Instructional Technology; the 1995 Pritsker Outstanding Teaching Award, School of Industrial Engineering at Purdue University; and the 1991 Teacher of the Year, College of Engineering at Wright State University. He was also recognized as Department Chair of the Year, College of Engineering at Wright State University in 2001. Born outside Chicago in Berwyn, Ill., Koubek spent time in California and Michigan before returning to the Chicago area as a teenager. He began his academic career as a faculty member in Wright State University’s College of Engineering and Computer Science. He later served six years as an assistant and associate professor in the School of Industrial Engineering at Purdue University. Koubek holds bachelor’s degrees in biblical literature, with a minor in chemistry, from Oral Roberts University, and in psychology from Northeastern Illinois University. He received his master’s degree and Ph.D. in industrial engineering from Purdue University. Koubek and his wife Valerie have three grown children. He told board members that he’s looking forward to hitting the Tech Trails on cross-country skis that have been sitting in his attic for almost a decade. Michigan Technological University is a public research university, home to more than 7,000 students from 60 countries. Founded in 1885, the University offers more than 120 undergraduate and graduate degree programs in science and technology, engineering, forestry, business and economics, health professions, humanities, mathematics, and social sciences.